Karl Hanlon, a Democratic candidate for the 3rd Congressional District seat, enters the assembly room Friday in Broomfield. 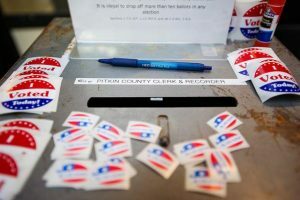 Glenwood Springs attorney Karl Hanlon and Diane Mitsch Bush, a former state representative, have both earned spots on the June 26 primary ballot for the Democratic nomination to run for the 3rd Congressional District seat held by Republican Scott Tipton. 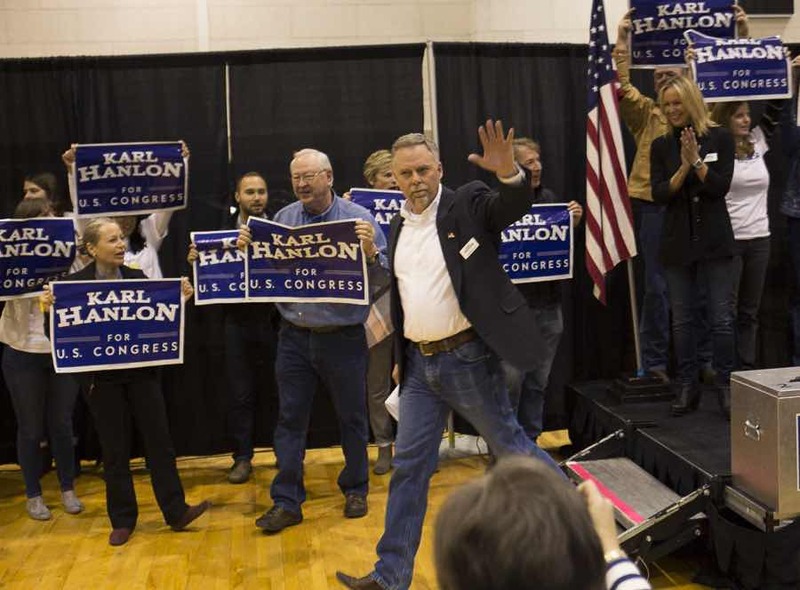 Mitsch Bush of Steamboat Springs won top billing with 56.5 percent of the vote among the 343 delegates at the 3rd District assembly in Broomfield on Friday, to 41.4 percent for Hanlon. A third candidate attempting to win a primary spot through the party assembly, Root Routledge of Durango, did not break the 30 percent threshold needed, earning just 2 percent of the votes. However, it’s still likely there will be a three-way primary in June. Arn Menconi of Edwards is awaiting word from the Colorado Secretary of State whether his petitions are sufficient to make the ballot. 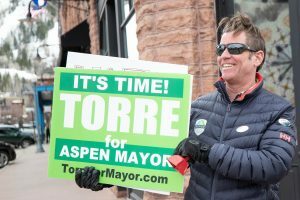 Menconi, a former Eagle County commissioner who ran as a Green Party candidate for the U.S. Senate in 2016, turned in more than 1,500 signatures to be cleared for the primary. The petitions are still under review by state election officials. 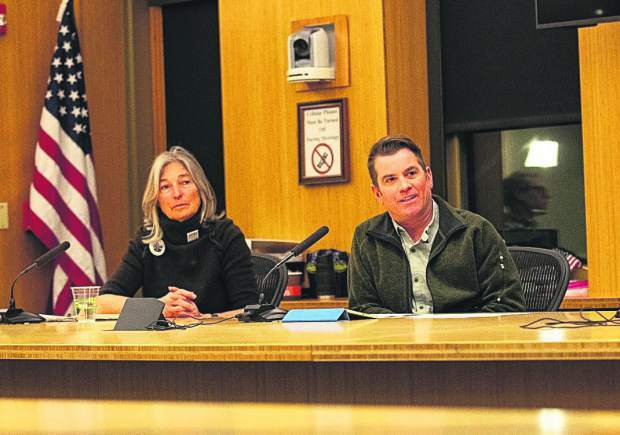 “Running isn’t winning,” said Hanlon, a Carbondale resident and water and municipal attorney who currently serves as Glenwood Springs’ contract city attorney. “The only thing that matters here tonight is that we win in November,” he said in a prepared statement. And, “We need to earn back votes in Pueblo,” Hanlon said of a key battleground area of the sprawling 3rd District where Tipton won out over 2016 Democratic candidate Gail Schwartz. 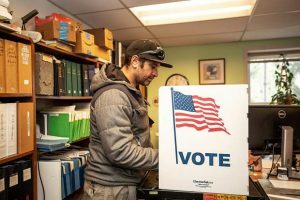 “We have to pull in unaffiliated voters and reach disaffected Republicans that want to see this country move forward as much as we do,” Hanlon added. Mitsch Bush, who was a Routt County commissioner before serving in the state House, said she was honored to win the majority support among the party faithful at the assembly. An active primary “excites voters” and “gets voters thinking about the issues,” Mitsch Bush said. 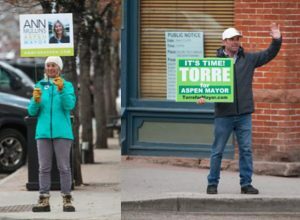 She said Colorado’s first open primaries, where unaffiliated voters can choose to vote in either the Democratic or Republican primary, also plays to her strengths. Tipton, of Cortez, is currently in his fourth term as the 3rd District representative in Congress. He did not face a challenge this year for the Republican nomination.